Our first photo is of a neat float for a parade held in Corning some time in the 1930s or 1940s. 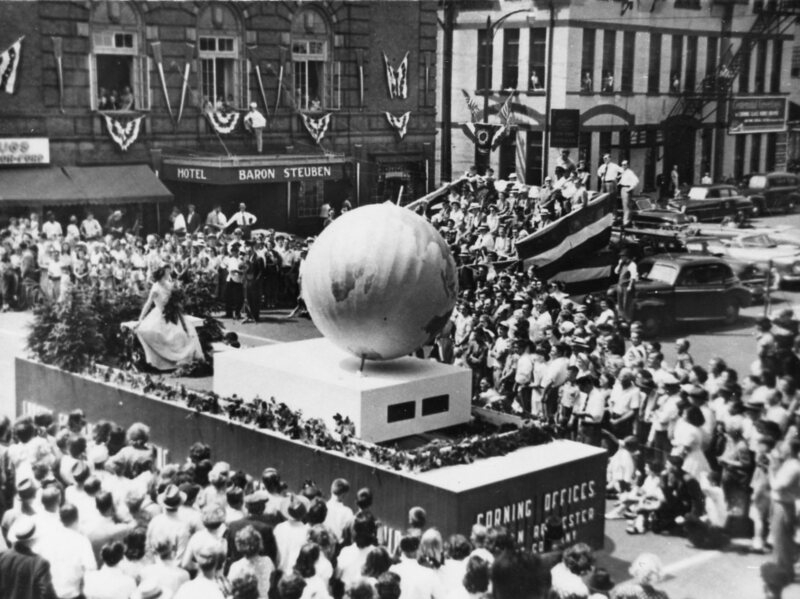 The float, which clearly shows it is sponsored by the Lincoln Rochester Trust Company features a globe and a young gal in a white dress — perhaps the queen of the parade? A great photo! If you know more about it than we do — let us know! 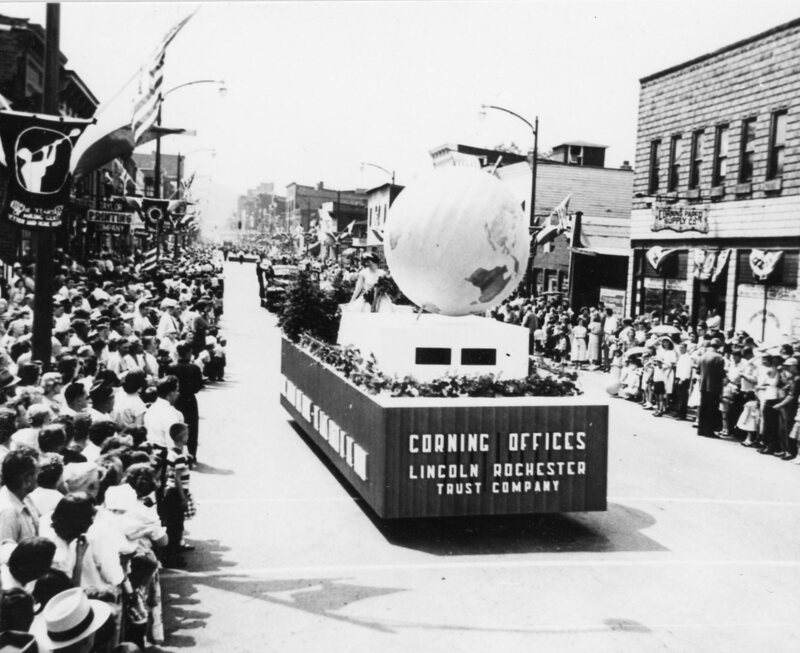 This second photo of the Corning Offices Lincoln Rochester Trust Company float shows the float driving up Market Street. You can clearly see on the right of the photo a sign for the “Corning Paper Supply” company and on the left for the “Taylor Printing Company” — very cool! As is the gaffer banner seen on the left side of the photo. We’ve no idea who the people are in this photo; but they do look like they’re having a good time! I can’t see clearly what the man in front, on the left, is holding — a watermelon maybe? 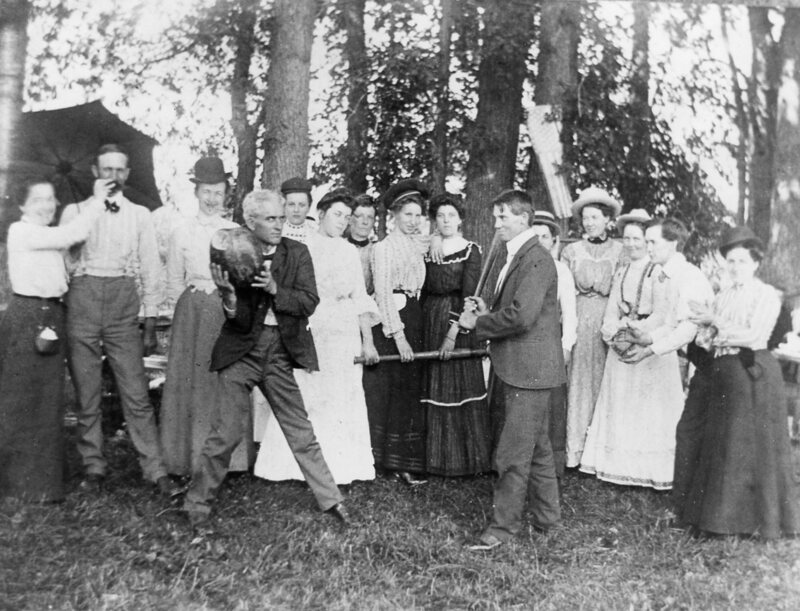 The fellow in front on the right seems to have a baseball bat and a humorous grin to match the twinkle in the eye of the maybe-holding-a-watermelon man opposite him. If you recognize anyone in the photo — let us know! I believe this is my Aunt Rose. This indeed was my Aunt Rose Giardina. Very sadly she passed away on Saturday 9/22/18. also, the year was around 1948.